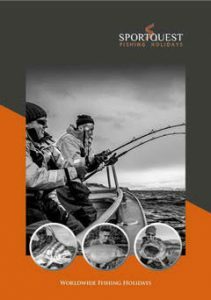 Are you an angler wishing to head off to warmer climates and target some amazing game fish but do not have a fishing partner to share the cost? If so then Sportquest Holidays hosted game fishing holidays are exactly what you need. On the Sportquest hosted big game fishing holidays you will be escorted by a Sportquest host from start to finish. Your host will assist you throughout the holiday from start to finish ensuring that you have the dream hosted big game fishing holiday you deserve. We offer some absolutely amazing hosted Bluewater fishing holidays where you can target Marlin, Sailfish, Dorado and Tuna to name but a few of the most sought-after big game fish. Your host will travel with you to the most prolific big game fishing destinations in the world where you can also target some of the smaller game fish species including Roosterfish , Giant Trevally and Amberjack. You will be using a whole variety of tactics from traditional trolling to surface lure fishing, which is becoming more and more popular. Big game fishing throughout the world has a reputation of being 80% relaxing as you troll your baits and 20% pure adrenaline when that fish of a lifetime strikes, giving you the fishing rush you never thought was possible and having you hooked for life and craving more hosted big game fishing. Ask any angler on a hosted big game fishing holiday what they would like to catch and nearly always highlighted at the top of most wanted list is the magnificent Marlin. Blue Marlin, Black Marlin and White Marlin are possible catches on a hosted big game holiday. These sporting fish are the ultimate catch for any discerning big game angler. These beautiful creatures are capable of reaching weights in excess of 1000lb. These amazing giants will leave an everlasting impression on anybody who hooks one, be it the big game angler who has been many times before or the first-time big game fisherman. Once you experience the excitement of a big sportfish hook up you will be addicted for life and want to keep coming back year after year on a Sportquest hosted game fishing holiday. Sportquest Holidays can take you to some truly amazing places on our hosted bluewater fishing holidays with both hosted Mexico and hosted Costa Rica being extremely popular. Many of our customers return, booking straight away for the following years hosted big game fishing holiday. So what are you waiting for? Come and experience our hosted big game fishing holidays. Contact our experienced team who can take care of everything for you, leaving you to enjoy your time away and have the hosted big game fishing holiday of your dreams. Additionally, you can request a free brochure.